Ringstead Village01485 532610work VillageRingsted (Great Ringsted) is a small village situated just 3 miles inland from Hunstanton. The village offers an excellent village store, the Gin Trap Inn and is close to Ringsted Downs, a large area of chalk grasslands, part of which is a site of Site of Special Scientific Interest. There are also circular walks around the organically farmed Courtyard Farm. The village originally had two churches one of which was demolished in 1792, leaving St Andrew as the parish church. St Andrews was originally built in the 13th/14th century but its entire exterior was restored in 1865. The Village is a great location for walkers and cyclists being on both the Peddars Way footpath as well as National Cycle Route. With the resort of Hunstanton and the quieter coast at Holme-next-the-sea both 3 miles away, the village is a good base for exploring the north west corner of West Norfolk. 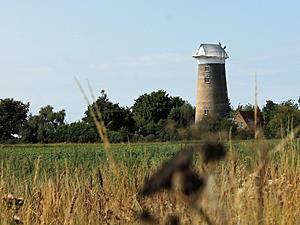 Ringsted (Great Ringsted) is a small village situated just 3 miles inland from Hunstanton. The village offers an excellent village store, the Gin Trap Inn and is close to Ringsted Downs, a large area of chalk grasslands, part of which is a site of Site of Special Scientific Interest. There are also circular walks around the organically farmed Courtyard Farm.